Castello DaVarg is a new company based in Texas. About a week ago, they sent me their cover for the iPhone 5, the KANAM5. The company currently produces products that express leather in its truest form and hand crafts all of their cases right here in America. Here is the packaging. The case I received is called the KANAM5 in the color "karmel". They also have a case called ADOR that doesn't have the stitching around the edges. Both cases are available for both the iPhone 4 and 5 and go for $45 on their website. Castello DaVarg also send me a jar of Eeve's leather balm ($5 on their website) - the company's leather conditioner of choice. It's made of Mink Oil, Coconut Oil, Lanolin Wax and Bees Wax and seems to absorb pretty deep into the leather. I even applied some on my iPad's smart cover and it brought the leather to life. Highly recommended. Here is the case. 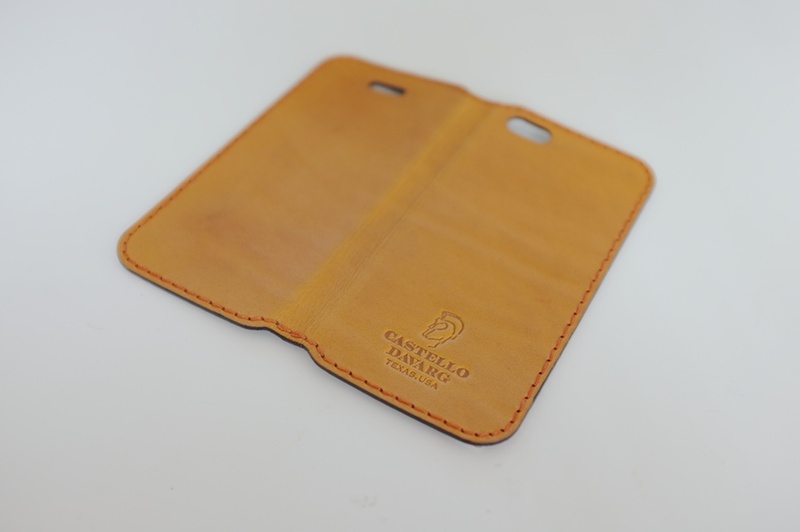 The case doesn't use any adhesives for construction and sports a handsome saddle stitch around the edges. The level of craftsmanship is top notch. The leather used by DaVarg is a vegetable tanned cowhide and apparently processed in-house. It's quite beautiful. One of things you'll notice is how thick the leather is. This is because DaVarg uses full grain leather that has the corium layer still intact. The result is a single piece of leather that's about the thickness of the leather smart cover without any synthetic finishing layers. Stitching is well done and the cutouts are perfectly positioned. The back has a fairly large embossed logo. I'd appreciate it being about 15-20% smaller. The inside. That's the fiberous corium layer you're seeing. It won't clean your screen but it won't peel off like the synthetic lining most companies use. We could also do without that branding. The iPhone sticks to the case using an acrylic adhesive pad. The pad lets you remove and reattach the phone numerous times. Just be careful not to damage the surface with your fingers. You should be able to use water and a lint-free cloth to clean the surface if it gets dirty. An interesting function of the stitching is that it acts as an alignment guide for attaching the phone too. The adhesive pad isn't without faults though. If you look at the photos above, you'll notice clear diamond-shaped patches. Those are the areas that the phone actually sticks to. The issue is that they aren't sticky enough to securely grab hold of the ceramic inlays of the phone making the corners of the backing pretty easy to peel. This isn't a huge issue functionally but I can imagine dust getting under there. One of my favorite aspects of this case is the rawness of the leather. It's thick, firm and feels really substantial. Because the material is so thick, it does mean that the case won't want to close when you first take it out of the box. Like a Brooks leather saddle, the case needs to be broken in over time. The photo on the right shows the case's natural angle after 3 days of use. After another few days in my pocket, that angle has dropped another 20 degrees or so. This is a rare instance of a product that requires time for the optimal experience. The tough leather also makes it a bit difficult to fold back and type. Once again, time should fix this. Talking about getting better with time, I want to address the superiority of leather over plastic in this instance. This is a product that will outlive the life of my iPhone. I've had multiple cases from Incase and the reality is that after a few weeks of use, those glossy plastic shells end up looking gross and scratched. They also feel horrible in the hand and ruin the experience of using beautifully crafted device. In contrast, genuine leather feels great to hold and won't fall apart after a few months of use. I think buying a leather case is the better investment here. We don't need more gross plastic cases in landfills. The KANAM5 has stayed on my phone for the past week and probably will for a year. 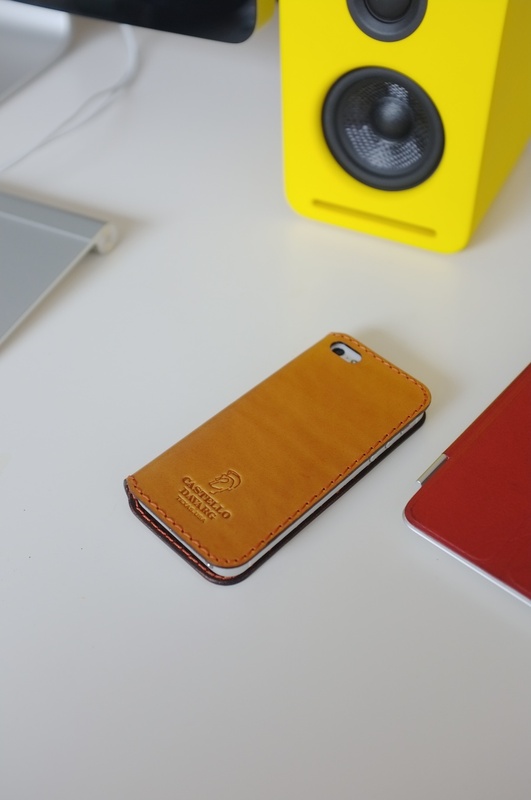 The case isn't for everyone but it does deliver on the promise of being a very simple leather cover. It's tasteful in design and feels wonderful in the hand. Best of all, this is a case that will only get better with time. That's really something to think about, I've had enough with co-molded garbage.